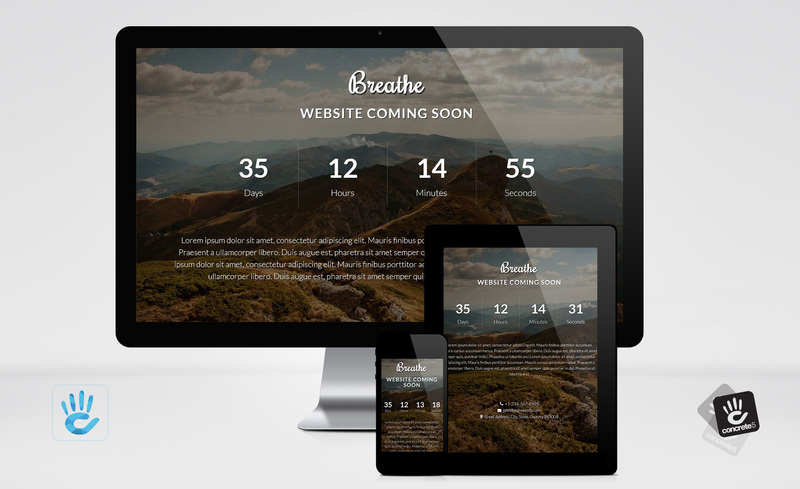 Breathe is the unique and modern coming soon / under construction Concrete5 Theme template for corporate, agency, photography or general business and for everyone. Breathe is designed for your Landing Page or Coming Soon Page, until the main site is under construction. Thus you will make your start-up outstanding and promote your new application or website. As you breathe right now, another person takes their last. So stop complaining, and learn to live your life with what you have.